In the early years of the 21st century, when online games did not dominate the market, all kinds of PC offline games always attracted young people. 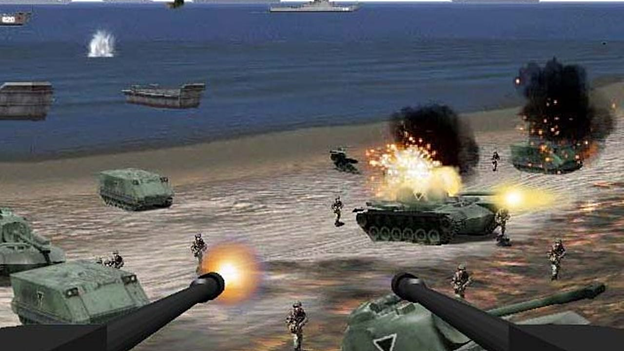 Games can be referred to as Half Life, Red Alert, … And surely the 8x, 9x generations all know Beach Head 2000 – is a first person perspective shooter game. 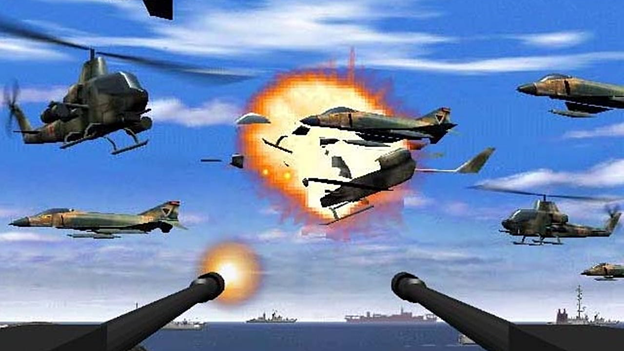 The player’s mission is to defend in a blockhouse, destroy the overcrowded, too dangerous enemy coming from from all directions. Along with the development of the internet and other modern technologies, such offline PC games have gradually become forgotten. But the Beach Head development team did not let their spiritual child become the past. They have applied cutting edge technologies today to create new life for Beach Head. 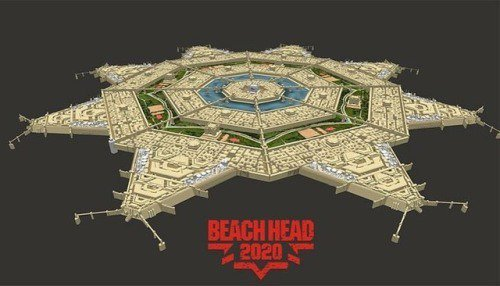 Beach Head 2020 VR is considered an innovative version with the combination of Vitual Reality and blockchain technology. This is not really an upgrade, but a complete innovation in both graphics, gameplay and how to experience the game. Landscape of game is about a city which is evading by Musso-Kahn and his powerful army equipped the ultimately cutting edge weapons. And players have to be side-be-side with their allies to defense the city, against the attack waves of enemy. Virtual Reality: The most interesting of innovation is VR technology. 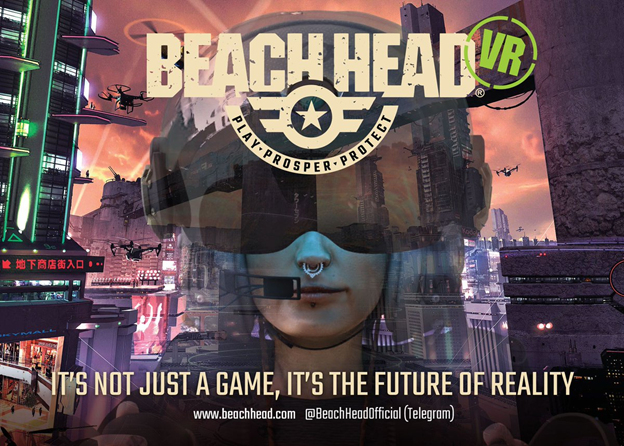 Players will experience the completely different and unique version of Beach Head. With the high quality graphics and the lively sound, BH2020VR will bring the best entertainment world to players. Gameplay: There are available and free ten levels of combat for players to experience. Players can choose their position to defense the city as well as the missions which they have to carry out. In addition, the time in game will be synced with the real time of players, that allows players to be able to enjoy their stages in game anytime and anywhere. BH2020VR is not only a single game, but also an entertainment ecosystem. Players can enjoy other interesting things in BH2020 such as a concert of famous artists in real life, the art exhibitions, relax places, … Instead of only focusing on the combats, players are able to enjoy an opera concert with their friends. Tokenization and Commerce: By tokenization, the exchange function in game becomes more flexible, this allows players can trade their items, other crypto assets and entertainment content. Players not only enjoy a real-like game world but also monetizing from it by sharing their content or selling their collected items. Thereby, players can enjoy the game with diverse ways, it is up to what they have and how much they invest in their armory. BH2020VR will be a game of future with the innovative functions. It also brings the new experience by adopting the advanced technologies. Participating in BH2020VR is not only enjoying a top game but also experiencing the entertainment ecosystem. Players are possible to download for free and join easily. BH2020VR – play to win. Visit BH2020VR official channels to explore more other interesting functions.